If you will visit Peru, it’s very likely that you will come to Cusco, the famous ancient Incan capital. And although there’s plenty of information about this destination in Internet, we want to share some of our favorite places there so you don’t miss anything when visiting here! Everyone knows that Cusco is very popular, but few knows why. 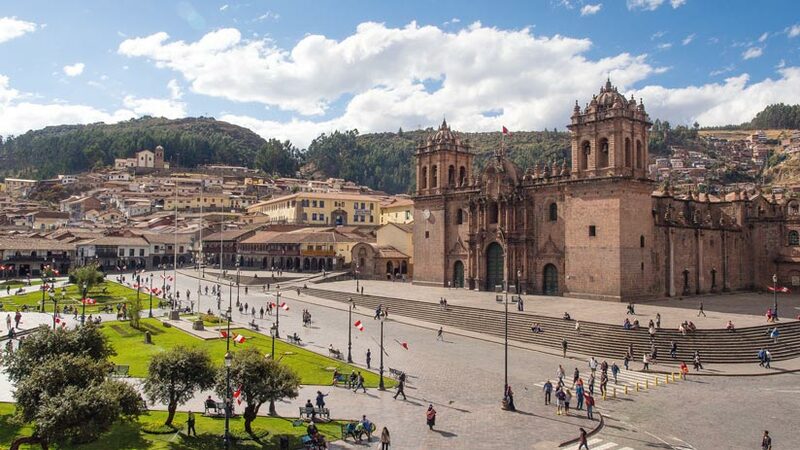 First of all, Cusco was the capital of the Incan empire, the biggest in South America. So, as this was an important place, the city had a huge main square where all the ceremonies were held. There were many ornate temples to see and it is said that most where covered with gold. The Spaniards take all the gold with them but you can also see the structures, the squares and the temples. 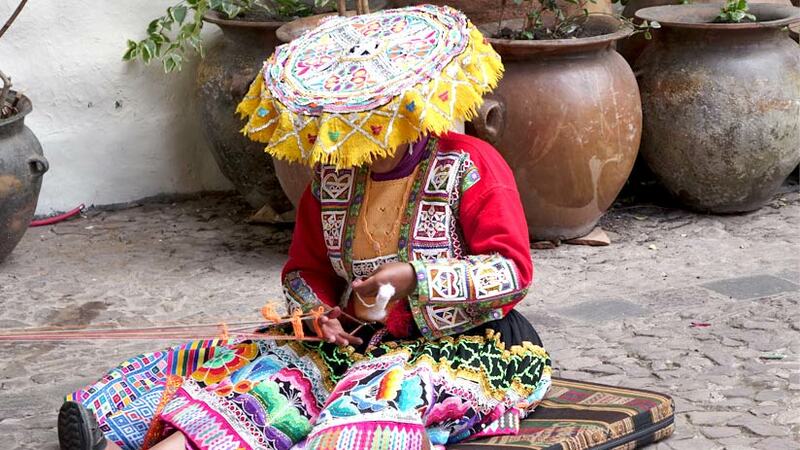 Another reason to visit Cusco is that here the Culture is still alive! You will see people wearing traditional clothes, speaking the traditional language (quechua), following the traditional religion, celebrating the traditional festivities, eating the traditional dishes and so on. Even when it has been becoming very touristy, there are plenty of Cultural Manifestation that you will be able to see in the flesh. Qoricancha: The temple of the sun. If you walk down Av Sol away from the Plaza, you will arrive at this temple, called today the Convent of Santo Domingo. This once was the most important temple in the Inca Empire: The House of the Sun. It is believed that all the walls have once been covered in solid gold, while courtyards and niches featured heavy golden statues. This church is a recent addition; the Inka foundations remain literally unchanged. Neighborhood of San Blas: The San Blas area of Cusco should be on your list of places to go. Known as the artist’s district, the area has a small plaza which is frequented by locals and non-locals who want to sell their wares. The plaza is also surrounded by souvenir shops and nice restaurants to eat. What features on the Plaza San Blas is the Church; the church is rather plain from outside. Inside, however, you will see one of the main attractions of Cusco: a wooden pulpit of intricate baroque design. There are many myths about the creation of this pulpit and there is an audio guide available will tell you a few. 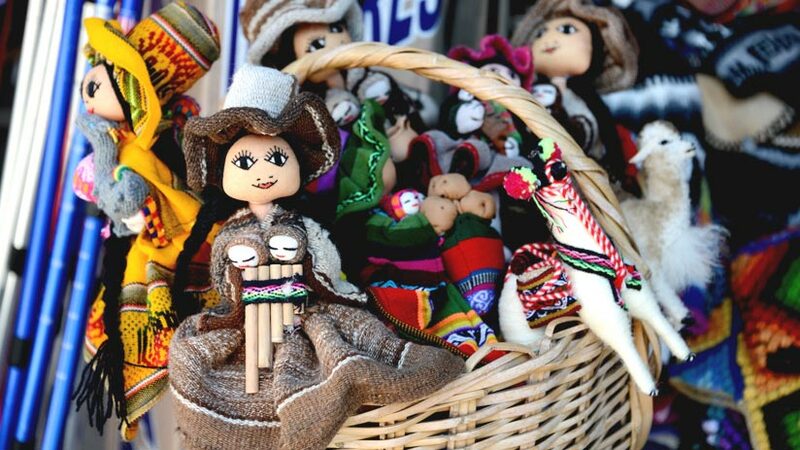 San Pedro Market: While in Cusco you will need to visit San Pedro Market, it’s large in size and offers a variety of things that would attract you to visit. When you first enter, there is a variety of souvenirs on offer. Walk further down into the market and there are stalls selling freshly made juices of any variety you choose. Visit the people selling all sorts of fruit and vegetable and even Meat and Chicken are available to buy. For a budget meal try a Menu which features a soup, a main and a drink for a very cheap price. The food stalls will be full with local people having lunch so look for the most popular. Plaza de Armas: Let us start with the Plaza de Armas, located in the center of the city; the Plaza in Inca times was twice the size. When the Spanish arrived they built there houses and old churches around the plaza making it smaller than the original size. 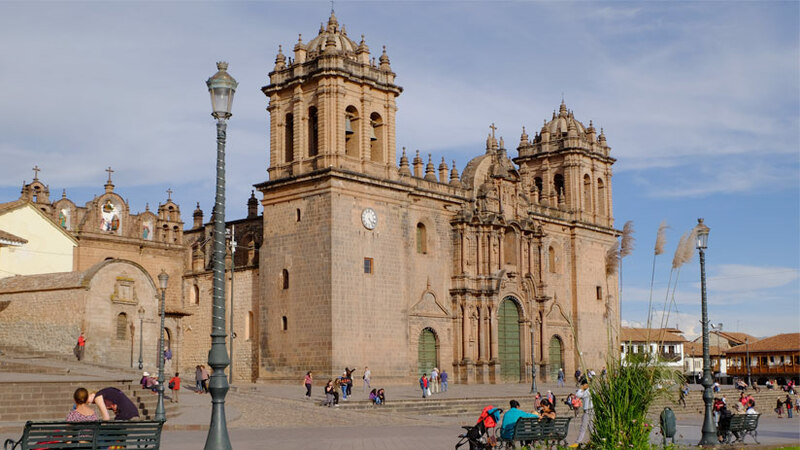 The plaza features two old churches in Cusco, The church of El triunfo, was Cusco’s first cathedral. Construction started in 1539 on the grounds of the Palace of the Viracocha Inca, the red granite blocks forming an impressive façade. 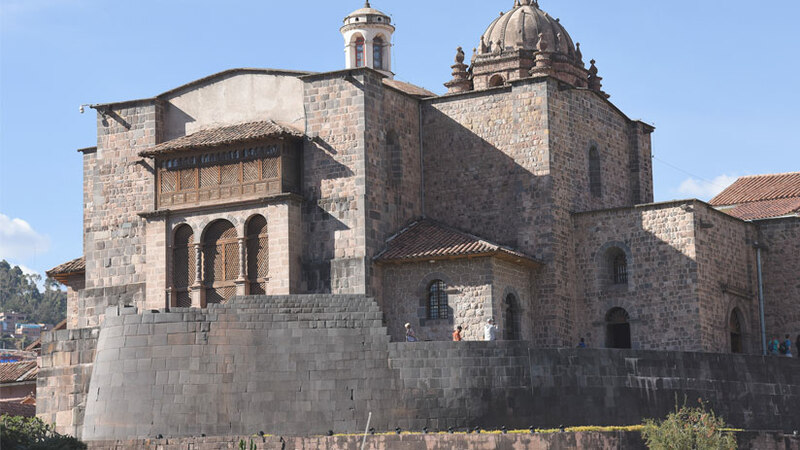 Next to Cusco Cathedral, you will find a similar Christian colossus: the Iglesia de la Compañía de Jesus. Often referred to as the most wonderful baroque-style church in the Americas, the cathedral has quite an exciting history. The Jesuits built it to outdo the splendor of the Cathedral next door. It’s worth mentioning that there’s a “Cusco Religious Ticket” that will allow you to visit the old churches in the city. This buys your entrance to the Museum of Religious Art, the Church of San Blas (which we have already mentioned), the Church of San Cristobal and the Cathedral. So if you’re interested in visiting these kind of sites, it will save you some money to buy the ticket instead of the entrance to each church separately. 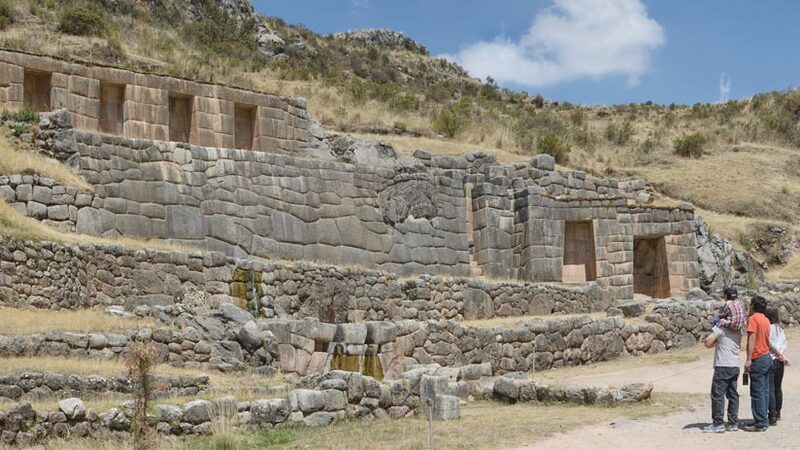 If you want to go a bit further than the city center, you will find some interesting archeological sites as Sacsayhuaman, Qenko, Pucapucara and Tambo Machay. All have significant importance for the Incan culture but were mostly destroyed by the Spanish Conquistadors. If you choose to take a city tour than these ruins will be included as part of your tour. The ruins are worth a visit so take the time to discover. If, on the other hand, you’re visiting on your own, there are public buses that departs from Cusco city and reach Sacsayhuaman. Around, you can take some of the nice walks and discover the area on your own. 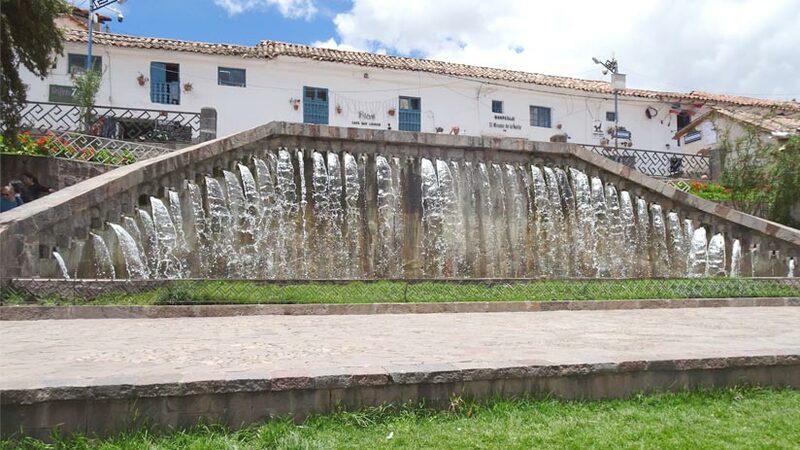 Why visit Cusco city? The reasons are endless; Cusco is a great place to spend a few days to chill out or to discover all the history the city has to offer. These are just some of the things to do in Cusco, a highlight of any trip to Peru. Luxury Travel, Travel To Peru culture, cusco, family vacations. permalink.